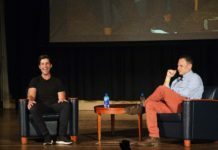 The show, which took place in the Memorial Union Ballroom, was hosted by FMS president Kaylan Burns. 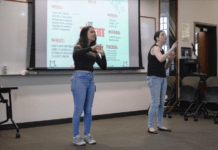 Burns, a sophomore writing and rhetoric major with a textiles and communications double minor, has been involved in the club since First Night her freshman year. 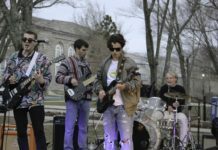 With help from Christine McMahon, an executive member of FMS and the vice president of Rhody Runway, Burns has been able to keep the spring fashion show tradition running and hopes to improve even more in the future. The night’s show began with a showcase of the latest designs of RoundTableClothing, created by students Patrick Fernandez, Kasaun Jordan and Yemi Onipede. RoundTableClothing is a Providence, Rhode Island, based clothing company that designs and sells unique, urban-wear-style clothing. 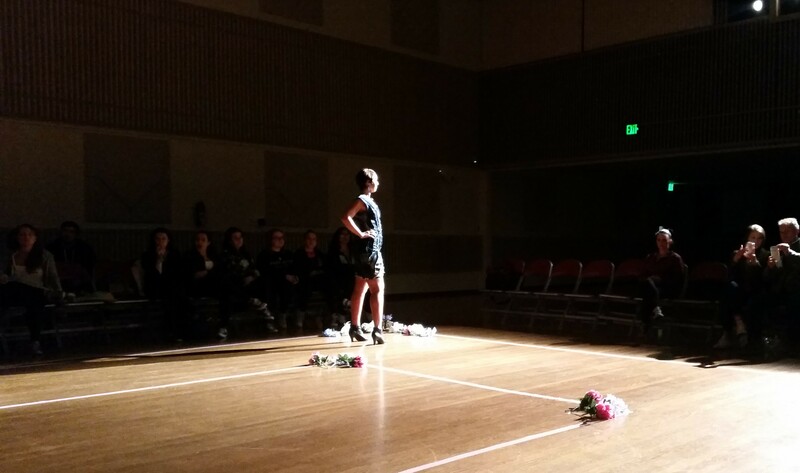 Next up was the work of senior Kristina Dufficy, who showcased her elegant dresses on the runway. Following this was the work of freshman Isabella Gavinovich, with minimalistic designs that featured interesting patterns and shapes. Finally, the distressed denim designs of Afton O’Neal closed out the show. O’Neal’s unique pieces featured reused denim to create intriguing shapes and patterns. Burns was very happy with how the show turned out, and is also very hopeful for the future of the club. At the end of last year, most of the executive board members graduated, making the club much smaller and in need of more members. Burns said that the new member involvement this year is exciting, and she hopes to use it to the clubs advantage. Burn added that she greatly appreciates how the club is open to anyone, and said that involvement makes the planning process for events like this much easier. The Fashion Merchandising Society is wrapping up their year now and will be holding executive board elections in the near future. They are a group that is open to anyone who may want to get involved, whether that be with fashion designing or event planning. For more information about FMS, please visit http://studentorg.apps.uri.edu/.